The last quarter ended with no investor seeking a ground in the Indian retail industry. The FDI policy was modified in September where retailers were allowed to invest up to 51 per cent in multi-brand retail, but since then there has been no names seeking the approval of the Department of Industrial Policy and Promotion (DIPP) or the Foreign Investment Promotion Board (FIPB). What is the reason the investors are shying away from investing in India? The trend suggests that the retailers will take it easy before they enter into the retail sector. It may take another year before the economy smells significant foreign direct investment. The global slowdown of economies is one big reason for this cautious approach. Adding to that, India may have approved FDI but it would be interesting to see how the states welcome the investors. Eventually, it is the state where these retailers have to buy the business from. Many of the companies eyeing a business in India want to go through a lot of research and market analysis before they invest in this highly sensitive market. They are expected see through this year where the action will be still in planning and research stage. IKEA and their proposal has been into the files for more than six months now and the whole process of seeking an approval will certainly be the pathway which others will follow. IKEA’s entry will be encouraging for many more. H&M Hennes and Mauritz AB are among the big players wanting to enter the market, pegged currently at $500 billion. Though 100 per cent FDI is allowed in single-brand retail, H&M may opt for the franchisee route in 2013. International giants like Walmart, Tesco and Carrefour, which are already there with cash n carry format, need to formulate their plans for the front-end operation. 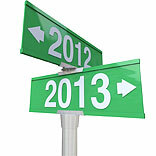 2014 will also see the elections and the result is again something which the investors will be watchful about. The opposition parties like BJP and its allies who have been opposing the motion may or may not bring a rollback. French retailer Carrefour, which is already worried because of the economic slowdown back home, is taking a close look at the political resistance shown in India. The UK’s Tesco, which had recently expressed concern over the sourcing norms in multi-brand retail, has been optimistic since the Parliament go-ahead. Philip Clarke, Tesco’s chief executive, was in India and reportedly had a few meetings with Tata executives for the retail plans. Luggage player like Delsey which is already present with the support of JV and franchise model will continue to run the operations in the same manner as the Indian market is better understood by Indian entrepreneurs. Overall the year 2012 ended with a lot of hue and cry over FDI issue but the year 2013 is not expected to make any news on the same. Quiet meetings and research will go unnoticed until the election results are out and the political resistance has subsided. The forecast for FDI in retail in the year 2013 does not seem to be as bright as many would be expecting. Some more time for the Indian retailers to pull up their socks before they compete with the giants.